The growth of marijuana business in California has significantly affected land rates. Ideally, the cannabis industry has really become the real estate business in California. During the 2016 elections, California passed Proposition 64 that legalized recreational marijuana. These new marijuana laws permit the growth and sale of marijuana for recreational use for persons of 21 years of age and above. As expected, there will be more land use for the cultivation of marijuana. The Emerald Triangle presents a true picture of how things are and will continue to be in California. The pursuit for land in the Humboldt County, California and to some extend in Mendocino County is definitely an attempt by cannabis entrepreneurs to cash in on the legalization of recreational marijuana. The land grab has been taking place in this region especially because the county was the first to adopt commercial cannabis land use regulations in California. The cannabis industry is not new to this county. For many years now, the Emerald Triangle is known for marijuana growing but nobody could tell whether the market for land would be this red hot after the timber industry started to dwindle some decades ago. Real estate brokers in this region see it as a gold rush. It is not just being bought by people from the region but many others from different parts of the county even from different states. Everyone has been buying land to cultivate or split it for others to cultivate. Ideally, they have been tracking marijuana and the prices have been increasing from time to time. A real estate agent specializing in the sale of ranches in Mendocino and Humboldt Counties said that land that would normally go for $1500 per acre was going for about $4000 per acre in May, 2016. With the passing of Proposition 64 in November 2016, the same piece of land must have tremendously appreciated in value. In another case, a 65-acre plot in Redway, California in between Eureka and Fort Bragg got 25 offers within the same time in May 2016 when it was advertised for sale. It finally went to a cannabis grower following its purchase. California hosts 58 counties and 482 cities, all of which are governed by the state rules and regulations. However, the counties and cities are permitted to come up with their own regulations to control and regulate the marijuana industry. Therefore, the approaches used in the acquisition of land for commercial cannabis growth vary in different counties and cities. Some of them have drafted ordinances that ban all cannabis cultivations. Particularly on growing businesses, the language applied is slightly different: to qualify for a state license, the cultivator should get a “license, permit, or other entitlement” from the local authority. Ideally, marijuana ordinances take into account restrictions on locations, the issuance of a regulatory consent that should be renewed annually and the imposition of different safety related operating necessities. Restrictions on locations may include the allocation of specific zoning districts as acceptable locations and separation rations to avoid the clustering of cannabis land uses. For about two decades now, land uses for marijuana business in California have mainly been regulated through the Medical Marijuana Regulation and Safety Act (MMRSA). The MMRSA, through a number of court victories has continued to help many cities issue permits to companies and individuals on medical cannabis land use. However, a city can ban commercial marijuana cultivation activities or allow them based on the local requirements for establishment. The issue of the local law was further made complex through MMRSA, specifically through AB 243 that required counties and cities to regulate medical cannabis dispensaries and cultivation or be subject to default rules set by the state. In that case, any city or county or both found without regulations on land use for marijuana cultivation either expressly or under ideologies of permissive zoning or fails to administer a conditional license program pursuant to this section shall consider the state of California as the only licensing authority for the cultivation of medical marijuana beginning March 1, 2016. Therefore, if your city and/or county do not have regulations on these grounds, you will have to get permit from the state government. READ Is the Marijuana Market Having a Supply and Demand Problem? Mendocino and Humboldt counties have established themselves as the primary zones for the commercial growing of marijuana. This is mainly because the area produces 60% of the marijuana consumed in the United States and most particularly, the weed that has been on sale in California’s medical cannabis dispensaries. All you need to be successful in this business is to follow the federal, state, county and city guidelines on the purchase and licensing of your land for commercial weed grows. Real estate agents are making a lot of money alongside the agricultural merchants that have been renting out land to cannabis farmers. Can anyone tell me the what zoning the land needs to be? I have a lot of land, zoned different things. I can’t find out what zoning needs to be for cultivation. I am looking to buy 50 acre land for doing marijuana. Is there any one can guide me where is best to buy for Marijuana ? I also want know more about marijuana with consultant. I am ready to buy around 50 acre land for Marijuana plans. 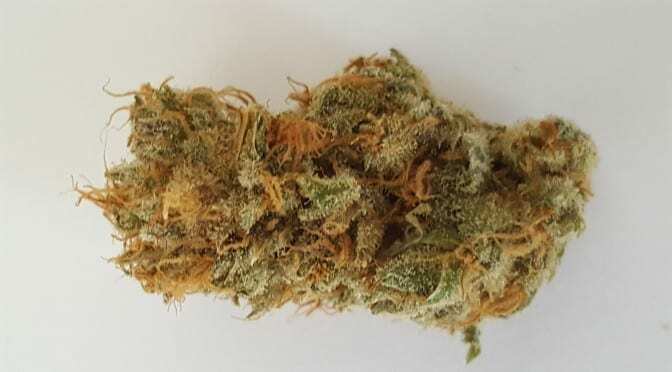 Is there any one can provide idea in details where to buy or how to buy and how I can do plans of Marijuana with legal way ? Let’s talk about it if you are still interested. What’s the cost on a 23 acre in central coast for cannabis lease,any one have a idea on cost? Hello everyone, name is Rain. water well on it and electricity as well. In Kern County in a wooded area.